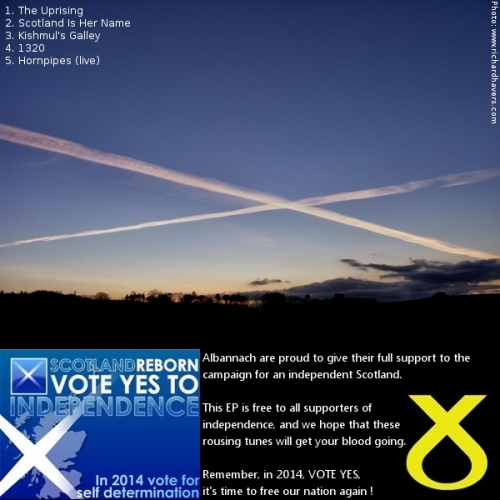 Our ‘Independence’ EP, was released in 2012 to lend support to the campaign for an independent Scotland. 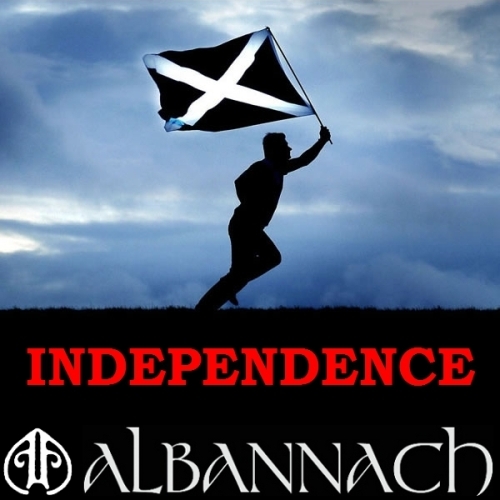 Albannach are proud to give the campaign their full support, this EP was released as a free download for all supporters of an independent Scotland. Consisting of five of our most popular, rousing, and thought provoking tracks – we hope this will get your blood pumping and your pride flowing ! Remember, in 2014, VOTE YES, it’s time to free our nation again ! Listen below, or get your FREE download of The Independence EP from Soundcloud ! !